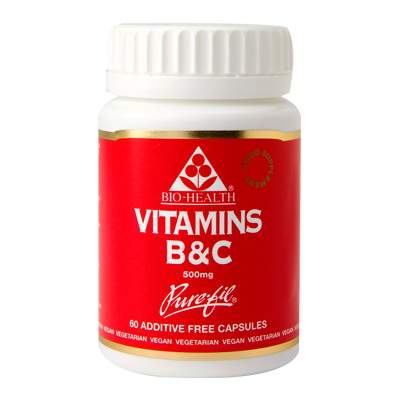 60 x One-a-day 500mg Vitamin B & C in vegetable capsules. Vitamins B & C are the two most important nutrients for maintaining health of the nervous system, hair, skin, nails and general vitality. They are both involved in repair of body tissue whilst assisting the immune system to protect against infection.